A three-man panel of the Presidential Election Petition Tribunal in Abuja today has granted the Peoples Democratic Party presidential candidate, Atiku Abubakar access to all the materials that were used during the presidential elections. Naija News reports the President was speaking at the State House, Abuja on Wednesday when he received the leadership of the Arewa Consultative Forum, ACF, on a courtesy visit. A Federal High Court sitting in Jalingo, the Taraba state capital has on Wednesday disqualified the governorship candidate of the All Progressives Congress (APC), Sani Danladi from participating in the upcoming 2019 governorship election in the state. Danladi was disqualified from participating in the election over an improper declaration of age. 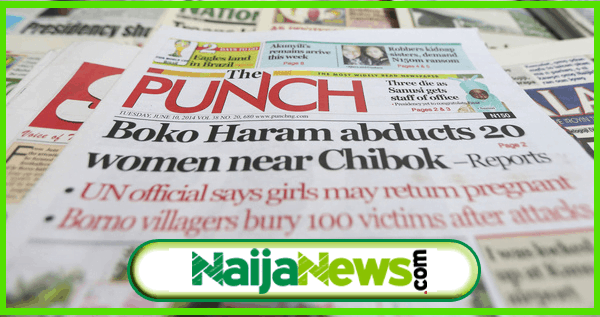 A Keke (tricycle) rider who witnessed the incident said he saw three armed men alight from a Toyota Hilux parked across the road, opposite the campaign ground popularly known as Nsima Ekere campaign ground. 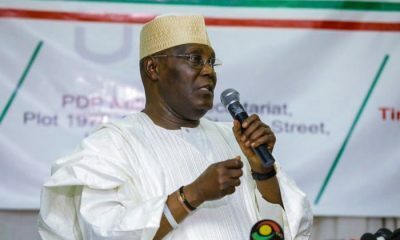 The People’s Democratic Party’s presidential candidate for the 2019 election, Alhaji Atiku Abubakar, has reacted to the GoFundMe account set up in support of his legal intentions. Atiku’s spokesman, Paul Ibe, however, said his boss is unaware of the accounts but is not however against it if people voluntarily feel they want to make a contribution in defence of democracy. This Buratai said on Wednesday while meeting with Principal Staff Officers (PSOs), General Officers Commanding (GOC), Operational Commanders and Directors of the military at the Army Headquarters in Abuja. A High Court in Calabar on Tuesday confirmed the removal of the All Progressives Congress (APC) candidates for the election in Cross River State. The High Court presided over by Justice Eyo Ita in a suit brought before it by an aggrieved APC governorship aspirant, Ukpan Odey, said since the reliefs sought by the plaintiff were the same as that which a Federal High Court had already ruled on, it could not rule on them again. This was the most incredible, astonishing unforgettable finish as Manchester United were awarded a controversial 90thminute penalty to knock Paris Saint-Germain out of the Champions League. Paris Saint-Germain were eliminated by Manchester United as the Red Devils mounted a historic comeback in the Champions League at the Parc des Princes.